March is Women’s History Month. Why not celebrate with this LEGO Women of NASA set. The iconic toy company announced that the concept was the winner of its LEGO Ideas competition. It honors female astronauts, mathematicians and other pioneers of the space program. Ben Westcott at CNN reports that the winning concept was designed by Maia Weinstock, deputy editor of MIT News. Her proposed playset includes mini figurines of five remarkable NASA women. They include Margaret Hamilton, the software engineer who programmed the guidance and navigation systems for the Apollo missions. Also included is mathematician and inspiration for the movie Hidden Figures, Katherine Johnson. The “Mother of the Hubble Telescope,” Nancy Grace Roman is included in the set. Sally Ride is also included. She was the first American woman in space. Mae Jemison was the first African-American female in space - she is also featured in the set. Additionally, the playset also includes a mini Space Shuttle and a tiny Hubble, among other props. “We’re really excited to be able to introduce Maia’s Women of NASA set for its inspirational value as well as build and play experience,” a spokesperson for LEGO told ABC News. The company says it hopes the toys will help inspire young girls to consider careers in STEM - science, technology, engineering and math. 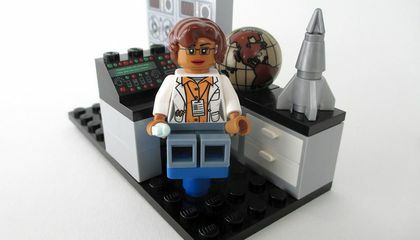 In response, LEGO launched a limited-edition Research Institute Set that included a female paleontologist, astronomer and chemist. That set sold out very quickly. Weinstock, who is now 39, told LEGO in an interview that she played with the toys while growing up in the 1980s. But it wasn’t until 2009 when she made a customized mini-figurine for a friend who is a scientist that she got deeper into the toys. She began making customized figurines of other scientists and would post photos of them online. Weinstock’s proposed design for Women of NASA uses 291 Lego pieces to build the figurines and their offices, telescopes and spacecraft. Her designs were not final: The company developed the final product. The runner-up in the competition was a Voltron set, which the company says it may also produce. 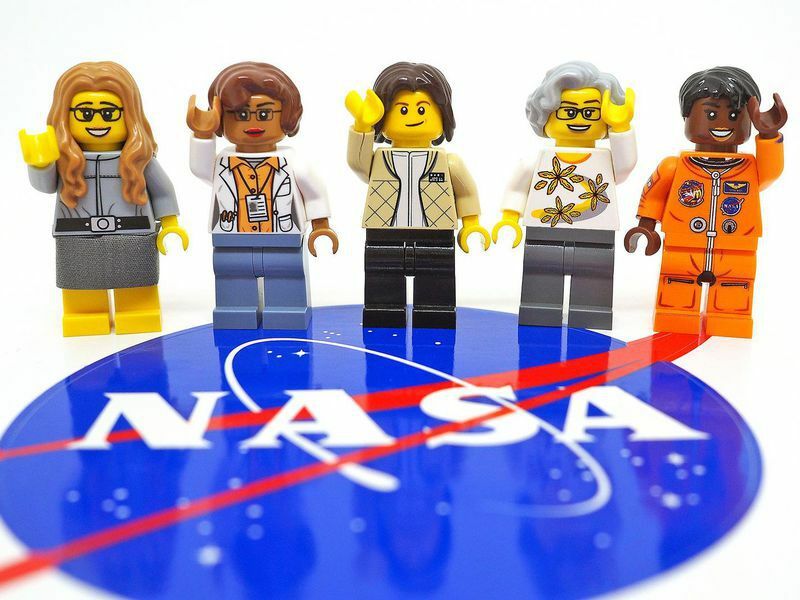 Why did LEGO decide to make a playset with women from NASA? I think they did because women don't get the amount of credit that they should. Men constantly under estimate women and what they are capable of. Women are pretty much so equal to men.I'm not saying that women can do everything men can or the men can do everything women can be for the most part we are all equal. So I think NASA created them to show that women can do the same things, jobs or anything else men can. LEGO decided to make a playset with women from NASA because they were having a LEGO ideas competition and this LEGO set was the winner. It honors female astronauts, mathematicians, and other pioneers of the space program. And LEGO thought that this LEGO set was a good idea being that it includes some very important space program people in the LEGO set. LEGO thought that it showed something of importance for NASA. LEGO hosted a contest for a lego set. There were a lot of entries but the lego nasa set ended up winning. They also did it because March is women's history month. They also did it because they wanted to honor female leaders. In conclusion, that is why lego made a woman's nasa set. The LEGO company had very few inspiring women playsets. It was brought to their attention that the issue needed addressed, and fast. They ended up making several playsets with women who had actual jobs including the NASA playset. My hope is that all boys and girls believe they can achieve whatever they want. I believe that they made it because of most of this women will not be in this if it was not for their job and what they are going to be known for. I think it is cool that LEGO is making more Lego's of women. I also like that Charlotte said, hey make more women Lego's that actually do something then just sit around. I think it is very important to show women qualities then just men qualities. I never really liked playing with dolls as a young girl. I did however liked playing with LEGOS. I do appreciate LEGO making this set,but i think they should have made it a regular set rather than limited edition, so all young girls could have the chance of playing with it. They did this bc there wasn't enough important females in there sets. So they created this set. i think this set was a great idea and im glad that they came out with this set. i hope this inspires young girls as well.